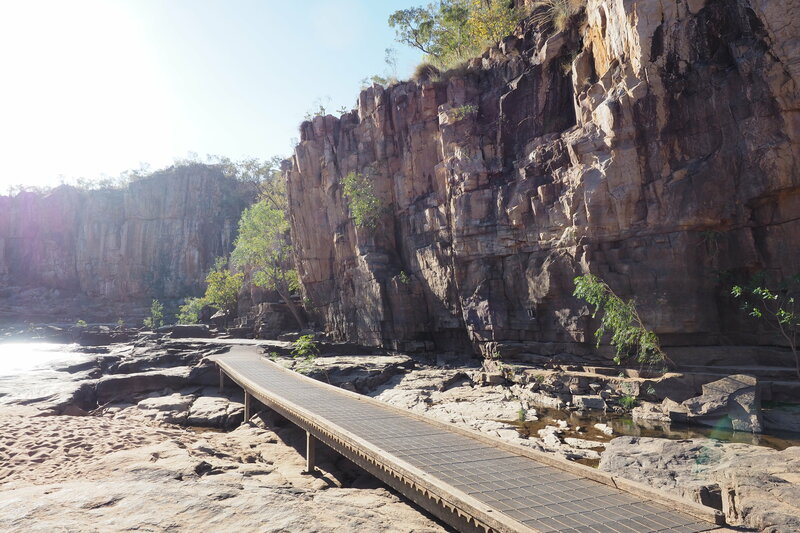 Make your way to the sandstone area of Nitmiluk National Park and explore all thirteen stunning gorges. The local tour guide will take you down the gorge by boat and along the way you will travel across several Replas Enduroplank™ boardwalks. What makes this material being recycled plastic so special is the fact that its is submerged under water for three months of the year during the wet season. The product has been down for over seven years now and still has no signs of wear and tear, a great product for this harsh environment. When asked, the tour operators said the recycled plastic product Enduroplank™ decking was excellent, since it wasn’t slippery – which many tourist regularly comment. 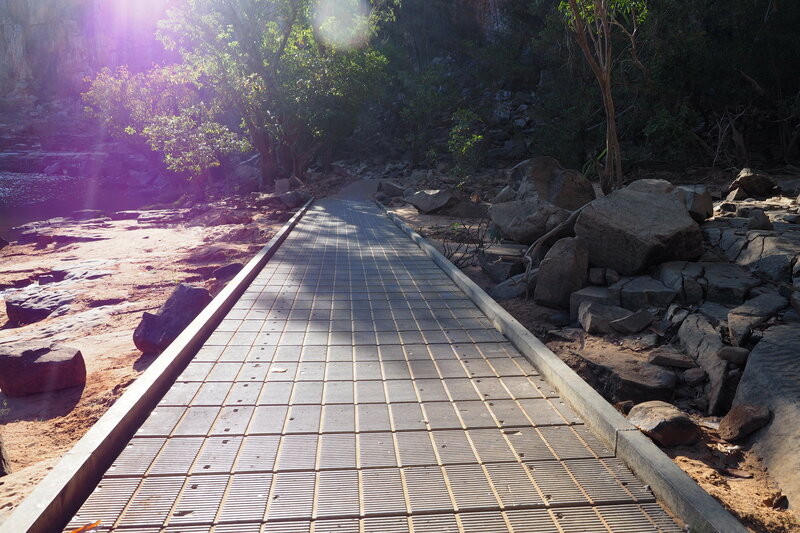 There are a total of four Enduroplank™ decking boardwalks throughout the park. 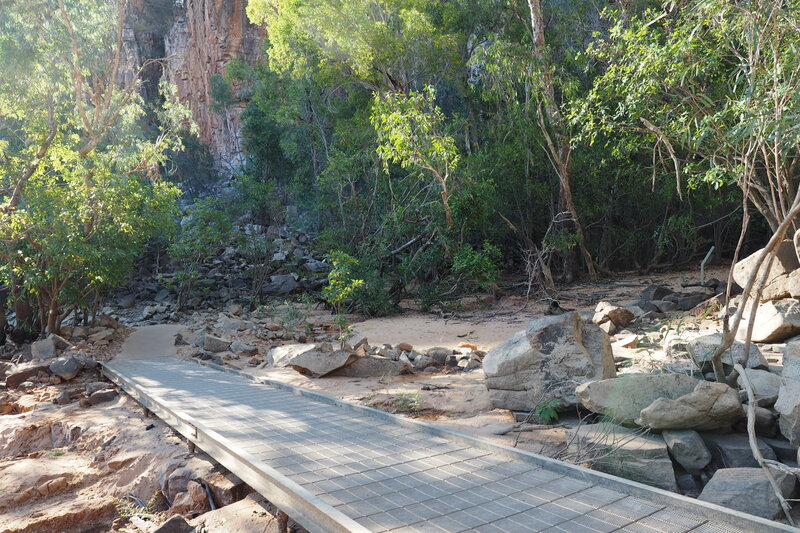 You’ll be drawn to the majestic beauty and sheer size of the spectacular Nitmiluk Gorge. Located on the lands of the Jawoyn people, rock art sites dot the park and dreaming stories bring the silent gorge walls to life. 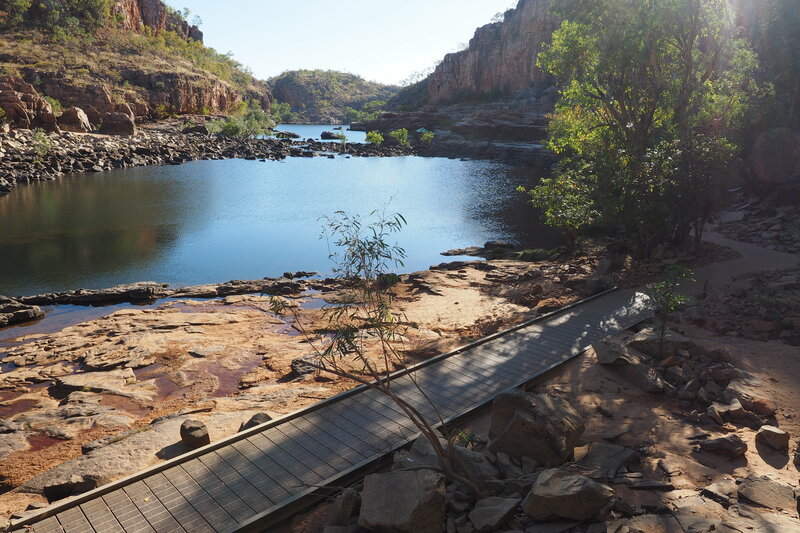 You can learn about the Jawoyn people’s association with the land at the Nitmiluk Centre or by taking a boat cruise of the first few gorges. Take sunrise or sunset cruises and see the gorge turn all shades of mauve and red.